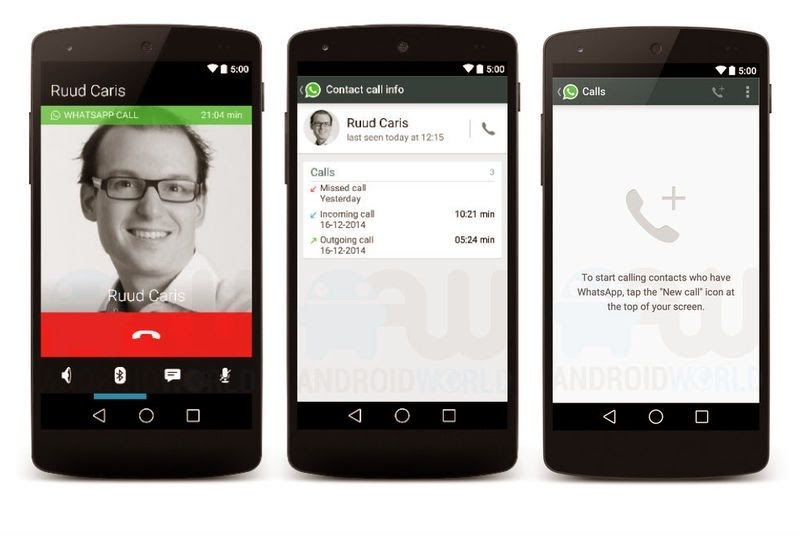 WhatsApp 's Most Awaited Calling Feature will be available soon to the world. Definitely The Latest User Interface of Whatsapp gonna be popular. You can download the latest version of Whatsapp From it's official website. Or from Google Play store . The new New Update will automatically notify on your screen. Do not believe on those Rumours that asks your to spread a link or re sharing by doing this you will get new feature or something like that just ignore those messages. The Leaked Screenshots Confirms that it's going to be launched Near by Beginning of New Year. The new Whatsapp might come up with Call Recording Feature . So till then Spread this Article and Save The World !